I am a huge fan of busy bags! My kids think they are so much fun and I love knowing I already have activities prepped and ready to go–especially on a busy day! We always play Tic Tac Toe while we are waiting for our food at a restaurant so I knew this easy Tic Tac Toe busy bag would be a hit! 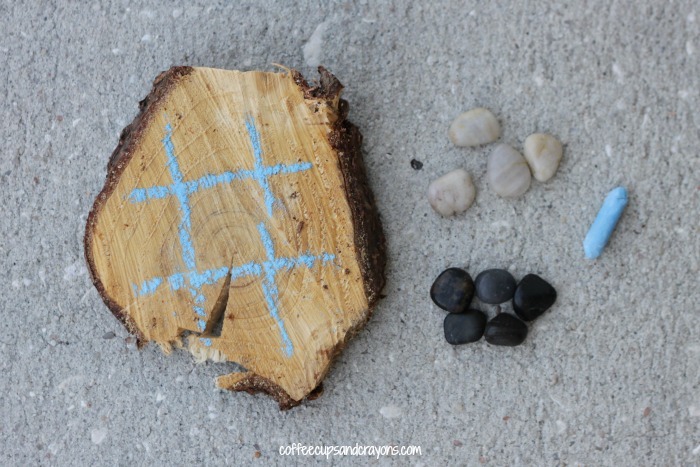 The base for the Tic Tac Toe game is one of our tree “blocks” that we got from the ends of our Christmas tree. If you don’t have a tree slice available I have seen nice ones for sale in the wood section at the craft store. I used white and black rocks from our garden for the markers, but you can designate whose is whose by painting or writing on them with permanent marker. 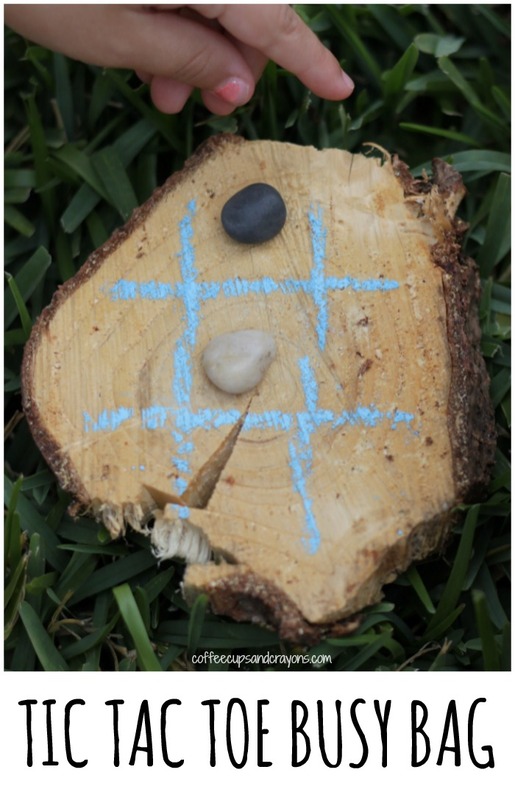 The kids drew a Tic Tac Toe board on the tree slice with chalk and got ready to play! The Tic Tac Toe busy bag fits nicely into a quart sized plastic bag so can easily be taken with us anywhere they have time to kill. It is also a nice way to spend an lazy afternoon outdoors! 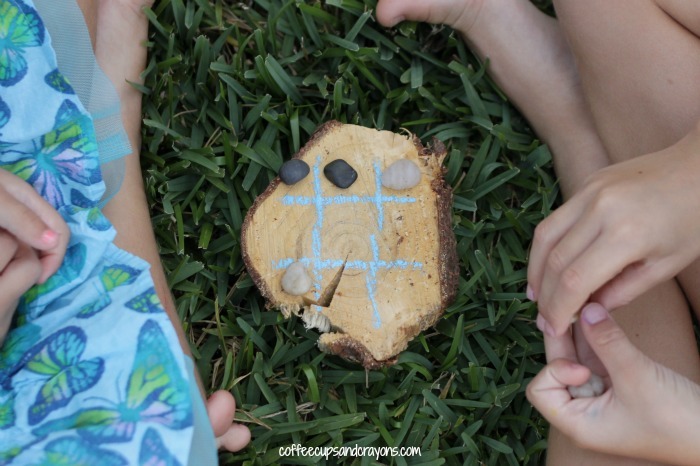 We love Tic-Tac-Toe here. Cool twist! Thanks for sharing at After School!